Many of you might laugh at the back of your mouth to see a post like this. I am not feeling much comfortable too! One day just as I was taking a look at the incoming search queries stats of the blog and my eyes stuck to certain keywords like “how to install ios rom on galaxy s3“, “flashing iPhone rom on samsung galaxy s2“, “ios port for the galaxy ace” and so on. More than 50 people coming daily to a blog with an average page rank on Google is not something to be ignored so easily. I do not understand why people get so desperate to flash an iOS ROM to devices like the Samsung Galaxy S3, or even S2? On the other hand, such a wish is somewhat plausible for the Galaxy Ace owners. The first two smartphones are far more superior to the latest iPhone. I wonder if any iPhone 5 user ever thinks of installing Android OS in his phone. 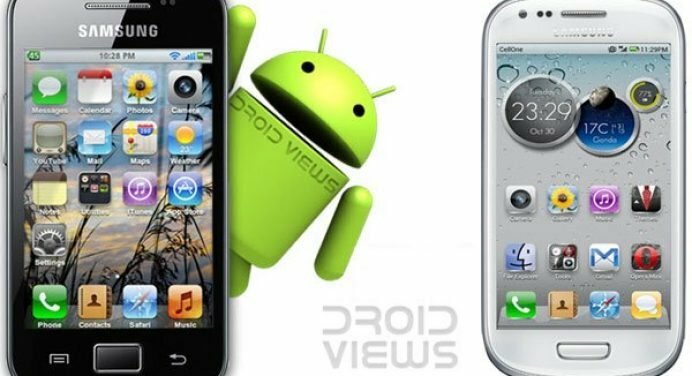 That is why I decided to do this post to shock our dear Androiders with a soft corner for the iOS with the sad news that there is no such iOS port for any of above-mentioned Samsung Galaxy series phones, or any other Android device. If you dying to feel the iPhone, I have a pretty nice advice for you. Sell your Android and buy an iPhone. So easy, isn’t it? But if you feel you can survive without an iPhone and stick to your Android phone, I still have a nicer idea for you. Stop entertaining yourself with the idea of the existence of an iOS ROM for your Android! If can soothe you heart with an iPhone theme (not ROM), you will certainly get it. For this you will have to root your Android phone and install a good custom ROM like MIUI or CyanogenMod. 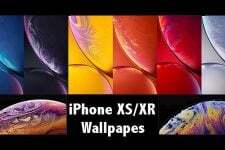 You can then search for an iPhone theme for that particular ROM and you will be able to enjoy the look of the iOS on your Android. In the present article I will try to explain to you how you can actually do it on devices like the Galaxy S3, Galaxy S2 and Galaxy Ace. Proceed only if you are interested in this solution to quench your iOS thirst. If you own this mid-range Android device by Samsung, you can install the iOS-themed ROM on your device. Just click on the link below to head over to our useful tutorial on the topic. Please keep in mind that to flash a custom ROM on your Galaxy Ace, you will have to root the device first. If you have not done so yet, read our easy rooting tutorial too. You can also install an iOS style theme on your Samsung Galaxy S2 by flashing a custom ROM like MIUI or CyanogenMod. Since I am familiar with any really good iPhone theme for the CyanogenMod ROM, I will recommend you to install the MIUI ICS ROM on your Galaxy S2. The MIUI ROM itsef is like an iPhone’s look wed to Android framework. If you have already rooted you device, you can directly install the MIUI ROM on your phone by following the steps given in the following tutorial. Head over to our best custom ROMs post for the Galaxy S3. There you will find the link to download the latest MIUI ROM for your device. Do not forget to root you device and install ClockworkMod Recovery first. Without rooting your S3, you will not be able to flash a custom ROM on your device. If you want any further help on the topic or ask a question, feel free to drop a comment below.